Otaru Snow Light Path Festival. The Otaru Snow Light Path Festival! Otaru near Sapporo Japan has its own snow festival and if you want to get away from the huge crowds and busy atmosphere of the Sapporo Snow Festival this is worth a visit. There are various kinds of ice candles made by citizens of the city and can be seen along the canal and shopping streets, all within walking distance from the JR train station. 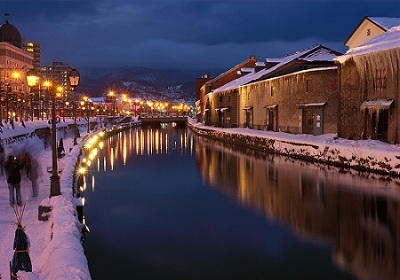 It is one the most beautiful Japan festivals in winter and very romantic, so if you are with a loved one, take a stroll along the canal with a cup of mulled wine. 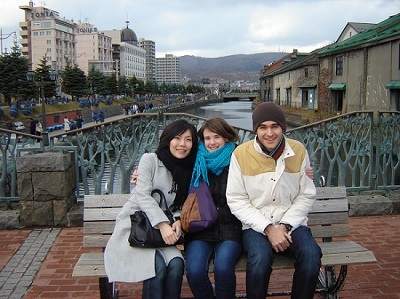 This port city is located in Shiribeshi, Hokkaido, northwest of Sapporo Japan with an estimated population of 138,000. It faces the Ishikari Bay. The city is a popular tourist destination because of its many historical buildings, fresh sushi and seafood. You can there very easily by train from Sapporo JR station. They are regular and costs around 620 yen one-way and takes approximately 35 minutes. Apart from the Snow Light festival, there are other attractions in this lovely little city. The Canal which runs through the city is surrounded with Victorian-style street lamps and during the day the atmosphere is very lively with buskers playing on the walkways and happy shoppers strolling through the cobbled streets. Another famous attraction is the Nishi Goten (Herring Mansion) on the west side of the city. It was built in 1897 and is a large wooden building where Hunkumatsu Tanaka lived, a very influential person of the herring fishing industry. 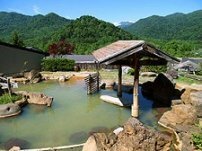 It was originally built in nearby Tomari village and was moved in 1958. 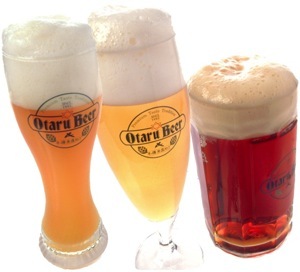 For me the best thing about Otaru is Otaru Beer. It's a popular restaurant with a German theme (the brewmeister is German) located next to the canal and serves my favourite Japanese beer. Try the Dunkel (below right), a dark, heavier beer, will suit those more acquired to ales or craft beers. 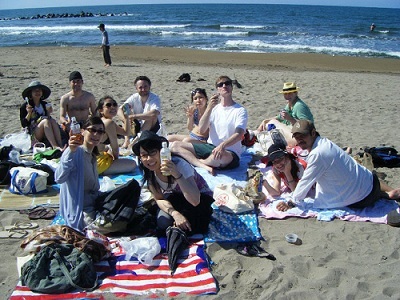 There are also some pretty beaches (by Japanese standards) nearby. Ranshima and Sunset Beach at Zenibako has very clear water and the sand is a kind of brownish grey, unlike Dream Beach where the sand is more like grey/black dirt and the water is not very clean. For Hokkaido, Ranshima is one of my favourite Japanese beaches to visit in the summer and one I go to often. You can get there by Bus from the bus station in front of the JR Train Station which takes about 20 minutes.